If you are happy to proceed click on the purple button “Continue to Payment"
Press the button "Continue to Payment"
Shortly after placing your order you will receive a confirmation email providing details of your order. This email will provide an order number so please ensure you keep it somewhere safe. When selecting your items pay attention to the availability, for example a product listing might state “in stock or 7 working days”. We hold many products in stock but with fast moving items we may run out of stock briefly in which case your goods will be available within a 7 working day period. If the item is going to take longer for us to dispatch you will normally be advised of any delays by our sales team. Please ensure you have entered your email and telephone number correctly in order for us to assist you. If you specifically want to know the stock availability on a product please contact us on 01780 767617. We have listed products in appropriate categories within the website. If you are unable to find a product we have a full search facility that will scour our product listings for matching words and text for a match. If our search does not find the product you desire use our online form to set us the task of finding what you are looking for. We have access to thousands of items that are not on the website and we should be able to help you. Call our sales team on 01780 767617 or use our on line chat facility. You can add items to your basket and send the Shopping Basket to your partner, architect or electrician or simply send it to your own email account and follow the link back to the site at a later date. This is ideal if you want to check the dimensions when you are at home or send the shopping list to your builder. No registration nor account is required. Simplly choose the "Save My Baket, Checkout Later" button and complete the form. You can also call the Sales Team and ask them to check the contents if you are unsure if you have all the necessary components for say a track system. We work closely with our customers to ensure the goods supplied meet your needs. We offer a 14 days change of mind policy. Depending on the reason for return, you may be responsible for the costs of return. See our Returns Policy in full here. Lighting Styles is an independant UK limited company based just outside the Georgian town of Stamford in Lincolnshire, we deliver to all UK postcodes including Northern Ireland, the Channel Islands and the Isle of Man (please note highlands and Irelands may take 1-2 days longer to delivery). We offer a standard charge for processing and delivery via courier. Surcharges are applied to some UK postcodes because our couriers add a surcharge to their prices when there is an increased distance between deliveries, or the destination requires payment of ferry and toll charges. You can check if any surcharges are applicable to your delivery address in this form. A surcharge applies to the Republic of Ireland, select the button below. Where appropriate, or by request, we may use Royal Mail as an alternative to our normal courier service. We try to give as much information as possible when listing a product but we can answer any specific questions you have on the product page. 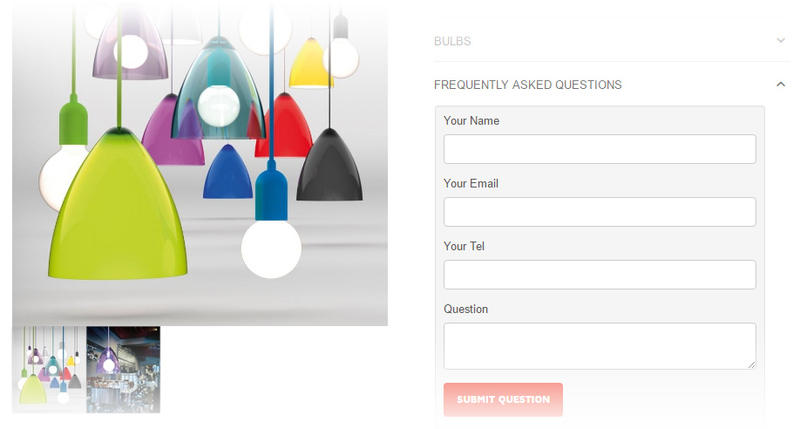 If, once you have placed your order, you decide you wish to amend or add to your basket please contact the Lighting Styles sales team as soon as possible on 01780 767617. We will make every endeavour to delay your goods to avoid a potential additional courier charge whilst we amend or change your order. In order to provide the best user experience for our customers we have incorporated new browser technology throughout the website. We try to use features and functionality sparingly and do not use technology that cannot be access on everyone's computer or mobile phone. If you have a problem it is normally as a result of the browser on your computer being a little out of date. Updating you browser will normally fix these issues but of course we would be pleased to assist you on the telephone if you do not wish to change your browser version, or still have problems. We want our website to be useable by all customers. If any customer receives an error message whilst using our website, we would like to be advised in order to fix any bugs or problems that, not only effect you, but may be causing issues for other users. We will provide a £5 discount on any order placed on the telephone if you let us know details of the problem provided it is our error. We will provide a £10 discount on any order if you can provide a screen print (or screen shot) of any error message as these are particularly helpful. Please do not hesitate to contact us to discuss any problems. Call us on 01780 767617. Many of our customers prefer to use the website to place their orders as we have a number of categories with tips and advice to help and assist along the way. However we love talking to customers and helping with advice or providing further information so please call us if you wish to discuss your lighting requirements. Our sales team can provide expert advice and then take your details and process your order on the telephone if that is more useful. Call us on 01780 767617. Once you have placed your order you should receive an e-mail confirming that your order has been successfully received. This e-mail will contain specific details of products you have ordered and the value of your order. Confirmation e-mails are generally delivered within 10 minutes but if you have not received it within two hours check that you still have an internet connection and if required request a manual send/receive in your email program. As our order confirmation email contains graphics and hyperlinks some email programs may direct it to a junk folder so check there before calling us. If you have not received an email please call us to ensure that your order was received on 01780 767617. Lighting Styles offer a full range of lighting products many of which you will not have seen elsewhere online. Our aim is to provide a comprehensive selection of lighting enabling our clients to find the perfect solution whether it is for home or commercial application. This website offers an exciting range of products that you can buy online from Lighting Styles 24 hours a day, seven days a week. You can choose from low voltage downlights to fantastic handmade chandeliers. We have a large range of designer and artisan lighting from Europe and beyond allowing us to provide you with a fantastic choice of handmade products. Lighting Styles endeavour to offer tips and advice in all categories on how to achieve the lighting effect you desire in your space. Look out for our recommendations and advice throughout the website. You can be confident that you will have a hassle-free online shopping experience with us. You do not need to create an account to use any of the features of this website! Mediation services for consumer complaints provided by SafeBuy and the Chartered Institute of Arbitrators. Overseas carriage costs vary significantly between countries and the courier price is affected by the weight, size and volume of the goods. Some items may be unsuitable for shipping (due to fragility, size or heavy weight) and some may be unavailable for shipping. In order for Lighting Styles to provide you with accurate costs and availability we will contact you to advise the shipping cost of the goods in your basket. Thank you. Now add the items you would like to the basket. At checkout your shopping list will be sent to Lighting Styles and we will contact you upon receipt and review the availability and suitability of the items in your shopping basket. We will contact you to provide a quotation for shipping costs to the above country.